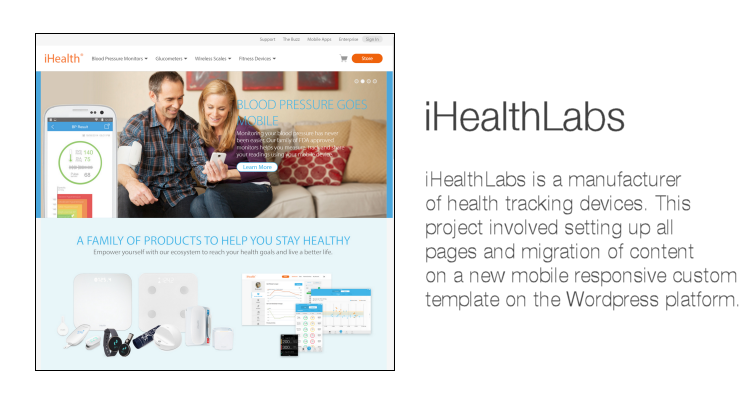 iHealth Labs - Digital Wander, Inc.
iHealth Labs is a manufacturer of health monitoring devices. The project included building a custom mobile responsive template a WordPress based CMS and migration of all content from a previous version website to the new format. This entry was posted in Uncategorized by digitalwander. Bookmark the permalink.